Field Programmable Gate Arrays are two dimensional array of logic blocks and flip-flops with a electrically programmable interconnections between logic blocks. The interconnections consist of electrically programmable switches which is why FPGA differs from Custom ICs, as Custom IC is programmed using integrated circuit fabrication technology to form metal interconnections between logic blocks. The function of each logic block. 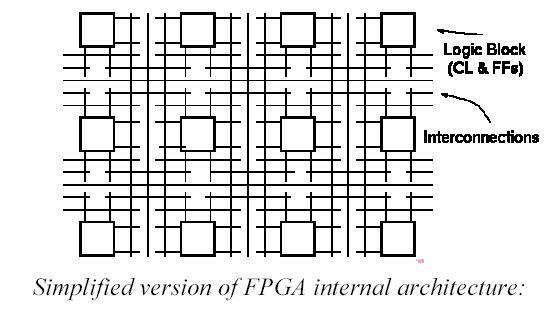 Figure 1: Simplefied version of FPGA internal architecture. Routing in FPGAs consists of wire segments of varying lengths which can be interconnected via electrically programmable switches. Density of logic block used in an FPGA depends on length and number of wire segments used for routing. Number of segments used for interconnection typically is a tradeoff between density of logic blocks used and amount of area used up for routing. The ability to reconfigure functionality to be implemented on a chip gives a unique advantage to designer who designs his system on an FPGA It reduces the time to market and significantly reduces the cost of production. Why do we need FPGAs ? data signals from one subsystem to another sub system. Systems typically consisted of few large scale integrated components and large number of SSI (small scale integrated circuit) and MSI (medium scale integrated circuit) components. Therefore the custom IC approach was only viable for products with very high volume, and which were not time to market sensitive. Figure 2: FPGA comparative analysis.